As the Sherbet Rilakkuma are basically impossible to get I thought I would get this little guy instead as he has a similar light colouring. 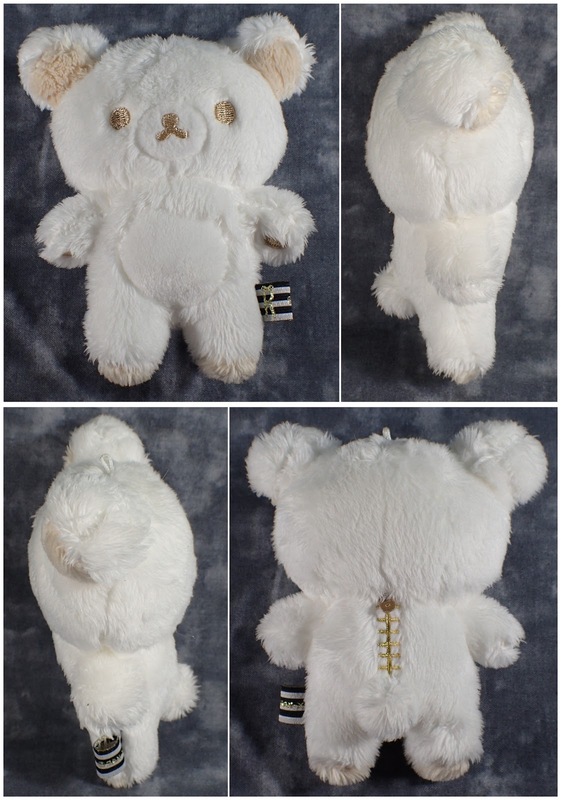 This key-chain plush has awesome gold-sh eyes and creamy ears and paws. 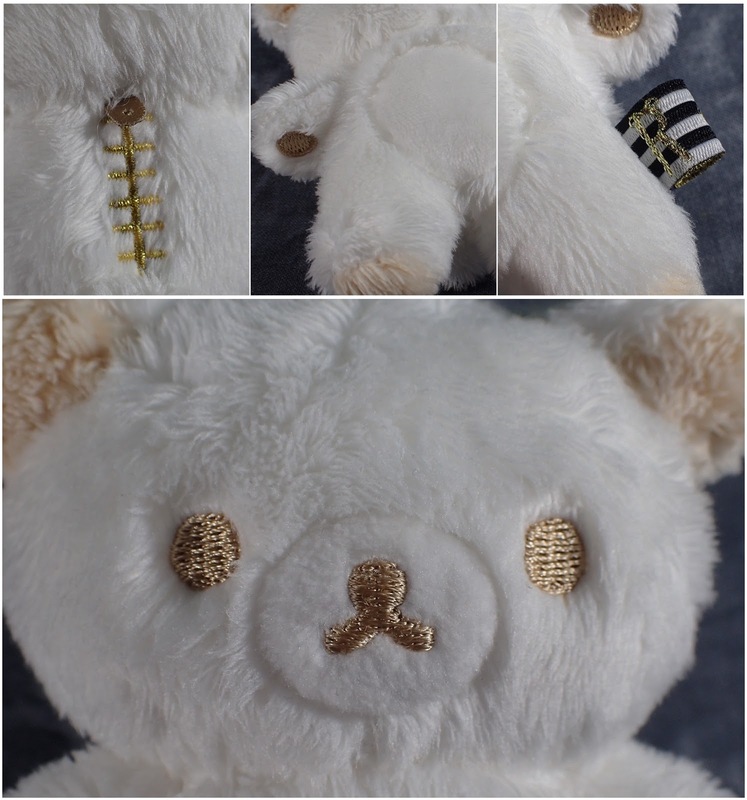 He also comes with a cool gold zipper, stitching only, on his back and a flashy tag. He makes a wonderful companion to my wicker summer bag.